Ever wonder why we ask to get your order in on Saturdays but your box arrives on Tuesdays? Well, let’s take a step back and throw a shocking stat at you: Canadian supermarkets throw out over $3 billion of food each year. Now we aren’t here to start pointing fingers at anyone, but does it strike you as odd that supermarkets keep their shelves overflowing even if that means up to a third of their perishables never get sold? 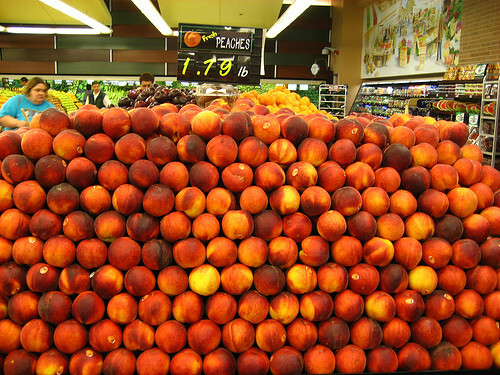 This waste isn’t just an environmental cost either – you would be absolutely correct to assume that the price of each fruit or vegetable you buy needs to be bumped up to account for all the produce that was lost on the way. So why place your order in advance? We’ve reversed the grocery shopping experience to reduce waste and save you money. Instead of trying to guess how much our members will order, or worse attempting to impress you with absurd stacks of fruits – we invite you to peruse our virtual shelves and let us know exactly what you want. Then, and only then, we turn to our suppliers and order everything we need in just the right quantities. No waste. No fuss. Just in time for your Tuesday box. Embrace ugly-looking produce, it often tastes best !